Why Would Anyone Be Fond of Acrylic Nails? If we compare the two, soft gel nails are available in a wide variety of shades and are easier to handle. Acrylic nails have the downsides of giving off terrible odor and drilling of real nails when fixing on. Since the mixture of acrylic nails is quite thick and hard to control, it often requires an experienced nail technician to handle it. So why would anyone still go for acrylic nails then? 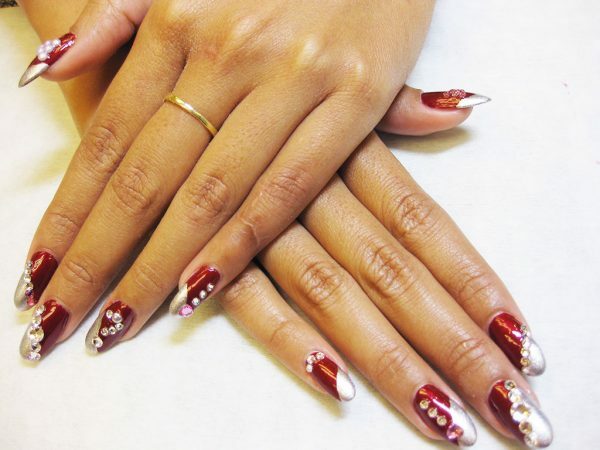 Let us look at the advantages of having acrylic nails. Acrylic nails are higher in density. They are very strong and last very long. They look like real and they are perfect for nail extension. Besides, when it comes to sculpted nails, nothing compares to acrylic nails. This makes acrylic nails not only the best choice for intricate works, it is also the perfect choice for those who has the problem of nail biting and breaking off. Under the protection of acrylic nails, the real nails can grow uninterruptedly. In Hong Kong, not all the nail technicians can do a good job on acrylic nails. However , you will find professional nail technician experience in acrylic nails here in Rainbow Nails.